What Does a Research Microbiologist Do? 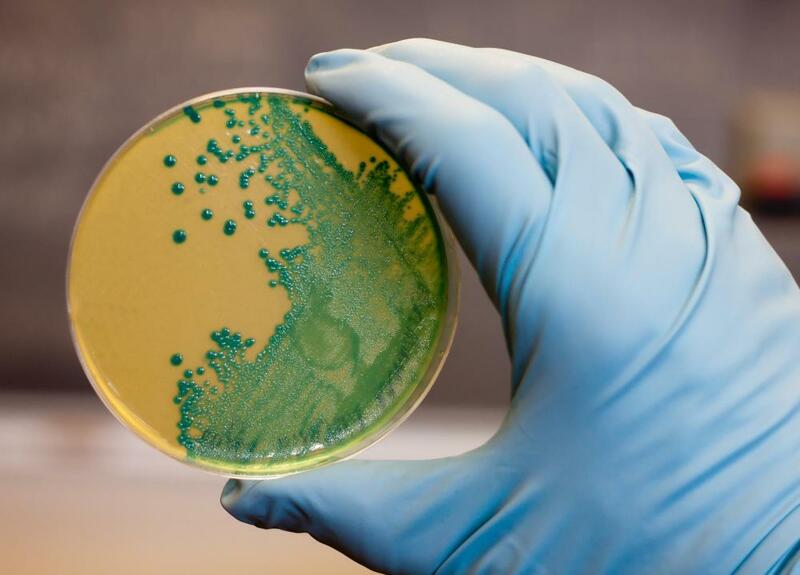 A microbiologist may use Petri dishes to study bacteria. A research microbiologist studies tiny organisms through the use of a microscope. A research microbiologist studies organisms too small to be seen without the assistance of a microscope for magnification. Opportunities in pure and applied science, as well as teaching, are available for people in this field. 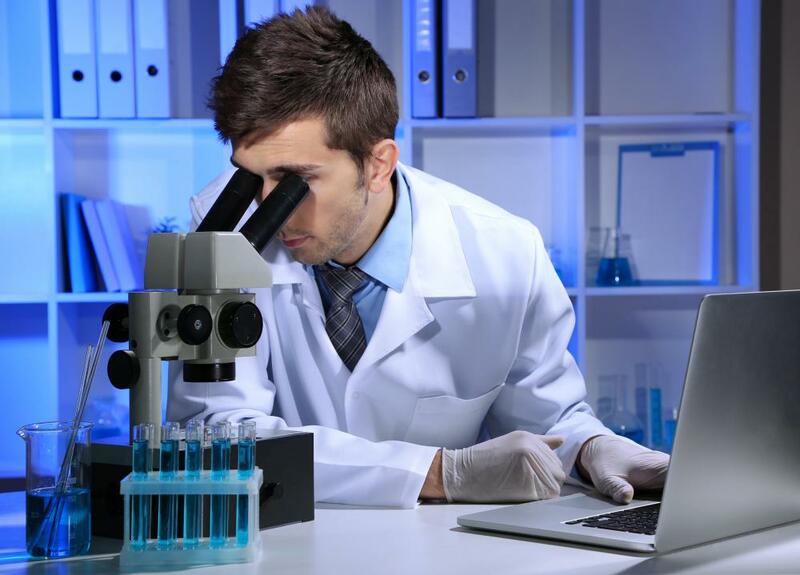 Commonly, research microbiologists have advanced degrees along with substantial experience in the industry. Work locations can range from pharmaceutical laboratories to fieldwork experiments in the natural environment. In applied research, scientists work on specific issues that can be identified and resolved. A research microbiologist might study a topic like microbial films in water treatment plants, for example. The research could include studies to learn which organisms are involved and how they can be safely removed. Numerous industries need microbiologists, as do government agencies with interest in subjects like using microorganisms in oil spill cleanup or studying infections in fisheries. Pure researchers typically pursue knowledge in general, without a specific application. This kind of research microbiologist might study subjects like the structure of organisms, the role of specific entities in the natural environment, or natural defenses generated by bacteria to protect themselves. Some of this research can eventually lead to directly applicable studies. For example, some bacteria produce antibiotics that can be used in medical therapy. Work for a research microbiologist can include handling a variety of scientific equipment. Microscopes and other imaging equipment provide information about what organisms look like and how they behave. Other tools allow for activities like genetic sequencing, growing organisms in culture, and testing theories in controlled environments. The research microbiologist also participates in grant applications and other funding endeavors. Teachers perform research while also educating the next generation of microbiologists. They may work for research institutions which balance the need for education with the desire to continue making breakthroughs in the sciences. In addition to lecturing, this type of research microbiologist may supervise lab activities and run research, recruiting students to assist with some aspects of their projects. Some research microbiologists are involved in activities like policy advising and regulatory formation. They work with government officials to develop coherent and functional science policy. This can range from policies for drug approval to the development of new pollution standards. These researchers can conduct studies to support their recommendations, and may work with scientists at government agencies to identify and address concerns. For example, a research biologist might be tasked with studying the impact of a proposed environmental standard, to determine whether it would be appropriate and effective. How Do I Become a Research Microbiologist? How Do I Become an Industrial Microbiologist? What does an Industrial Microbiologist do? How do I get Started in a Microbiologist Career? What are the Different Microbiology Jobs? What are the Different Microbiologist Jobs?